Antenna towers come in many shapes and sizes, from small units on lampposts, to the familiar tall towers. With more Canadians than ever using wireless devices such as smartphones and tablet PCs demanding more services and faster data, we need increasingly more towers to meet demand. But demand for service has to be balanced with the needs of Canadians and their communities. So, it's the law for companies that want to build a tower to first look at sharing existing structures or infrastructure, such as rooftops or water towers. Since antenna systems can handle a limited number of calls or data traffic at once, there are more towers and other antenna structures in high population areas. In suburban areas, towers are often farther apart, but in dense urban areas, they will be closer together. There are approximately 13,000 wireless antenna towers across Canada and this number is increasing to meet demand. Innovation, Science and Economic Development Canada has taken steps to balance the increasing demand for wireless services with the needs of neighbourhoods and communities across Canada. We have revised our Antenna Tower Siting Procedures to ensure municipalities are involved early in the process when a new tower is proposed. build any new tower within three years of consulting with residents. WIRELESS PROVIDERS AND YOUR LOCAL MUNICIPALITY DETERMINE TOWER LOCATIONS. The Government of Canada is not involved in the specifics of tower installations, but we do set the law; it's called the Radiocommunication Act. Providing technical requirements are met, we only get involved when there is an impasse between the municipality and the company. In these rare cases, we look at the facts and provide a decision. If there's a plan to build a new cell phone tower in your neighbourhood, you should be consulted if you are within a certain distance of the tower. Remember that Innovation, Science and Economic Development typically only gets involved if your local authorities and the company can't agree. If you want to express your views about an existing tower in your neighbourhood, speak to your local land use authorities (usually your municipality). All antenna towers have to satisfy Innovation, Science and Economic Development Canada's general and technical requirements and comply with Health Canada's Safety Code 6, which imposes strict limits on the radio frequency energy sent out by any antenna tower. Innovation, Science and Economic Development Canada routinely audits the radio frequency energy at tower sites. Find out more on Safety Code 6. Companies cannot build towers on a whim. Companies must first study the possibility of sharing existing towers in an area. If none are suitable, they must then follow specific steps to build new towers. They must also consider the municipality's requirements—such as consulting the public and adhering specific requirements for tower siting. Find out more. This is an important issue for many Canadians. Recently, the government modernized its tower siting policy. Now, wireless providers are required to consult the public on all tower locations, regardless of height. Companies must also build the tower within three years of the consultation. The radiofrequency waves that travel among antenna towers are a form of energy in the electromagnetic spectrum between FM radio waves and microwaves. They are produced by a variety of sources, including natural ones like the sun and the earth. Innovation, Science and Economic Development Canada requires all antenna systems to meet strict limits on the amount of energy that can be present in areas where the general public has access. To ensure the protection of the general public, Innovation, Science and Economic Development Canada uses the RF exposure limits that are part of Health Canada's guidelines commonly referred to as Safety Code 6. Health Canada has updated Safety Code 6 to reflect the most recent scientific evidence and measurement techniques. Canadians continue to be safe as all antenna installations, wireless devices and equipment on the market comply with the new limits under Safety Code 6 and with the related technical requirements. Innovation, Science and Economic Development Canada conducts regular audits to ensure that antenna installations, wireless devices and equipment on the market are compliant. IN FACT, THE CONSENSUS OF THE SCIENTIFIC COMMUNITY IS THAT RF ENERGY FROM CELL PHONE TOWERS IS TOO LOW TO CAUSE ADVERSE HEALTH EFFECTS IN HUMANS. Health Canada's Safety Code 6 has large safety margins built in to provide a significant level of protection for the general public and people working near RF sources. Demand for wireless services is growing, and is expected to continue as more and more Canadians use smartphones and other mobile devices. To accommodate this demand, more towers will be needed. Wireless companies have always been required to work with communities when they want to build a new tower, but changes to Innovation, Science and Economic Development Canada’s Antenna Tower Siting procedures will now require companies to work even closer with local communities. The rules are designed to make sure companies are looking at ways to reduce the number of new towers they are building, while also ensuring that, if a new tower is needed, local citizens are involved throughout the process. Satisfy Innovation, Science and Economic Development Canada's general and technical requirements, and comply with Health Canada's Safety Code 6 to ensure the safety of Canadians. The rules are also clear that Innovation, Science and Economic Development Canada officials will only normally become involved if there is an impasse at the local level. Communities are the ones directly affected by tower locations. They are best positioned to work with wireless providers to ensure effective delivery of services, while also ensuring respect for local land-use considerations. Innovation, Science and Economic Development Canada staff are available to assist municipalities in understanding their role and to provide advice. In February 2013, the Canadian Wireless Telecommunications Association and the Federation of Canadian Municipalities launched a joint Antenna System Siting Protocol Template, which provides a ready-made tool that municipalities can use to develop their own customized protocols or improve existing ones. Innovation, Science and Economic Development Canada also offers advice in creating your own process in our Guide to Assist Land-use Authorities in Developing Antenna Siting Protocols. The demand for wireless service continues to grow exponentially. Canadians want the latest technologies, more data, faster speed and better coverage; these all create increased burden on wireless resources. New towers are often required to satisfy this demand. To ensure that the voices of Canadian municipalities and the communities they represent are heard more clearly, Innovation, Science and Economic Development Canada has amended its Antenna Tower Siting Procedures. Under these procedures companies are now required to work even more closely with the local land-use authority, usually the municipality and communities they represent, and engage them earlier in the process. 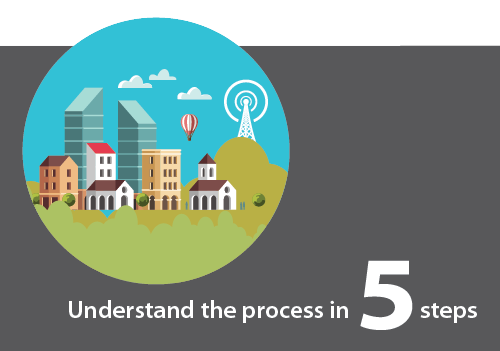 Innovation, Science and Economic Development Canada has strengthened the requirements for the wireless industry to consult with local residents, increase transparency for municipalities, and improve communications throughout the tower siting process. The changes to the Antenna Tower Siting Procedures will benefit everyone involved, minimizing surprises and creating a more cooperative process so that Canadians can have the wireless services they demand. ensure that residents are well-informed of upcoming consultations, with clearly marked notifications. All installations must comply with Innovation, Science and Economic Development Canada's Antenna Tower Siting Procedures, including the amount of radio frequency (RF) energy they emit. 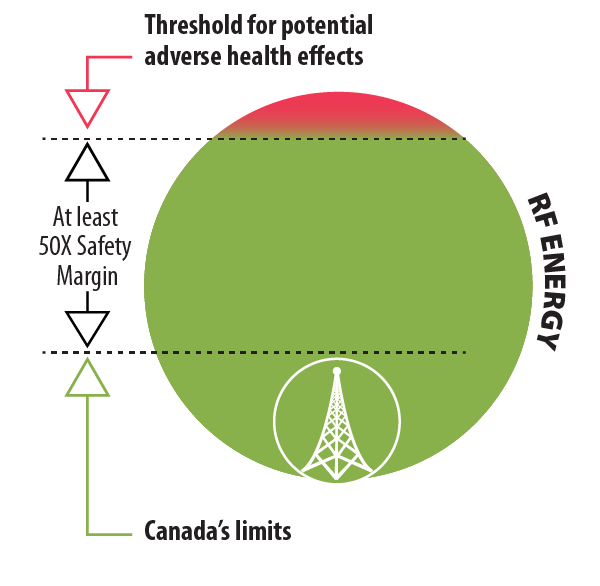 Health Canada's Safety Code 6 establishes safety guidelines for the exposure to RF fields. To ensure the protection of the general public Innovation, Science and Economic Development Canada adopted these guidelines and requires all installations to comply with Safety Code 6 at all times. Under the Antenna Tower Siting Procedures wireless service providers have greater obligations relating to land-use authority and public consultation. They are also required to complete construction of the antenna system within three years of the conclusion of the consultation. After three years, consultations will no longer be deemed valid except in cases where the person proposing the tower and the land-use authority agree, in writing, on an extension for a specified time period.